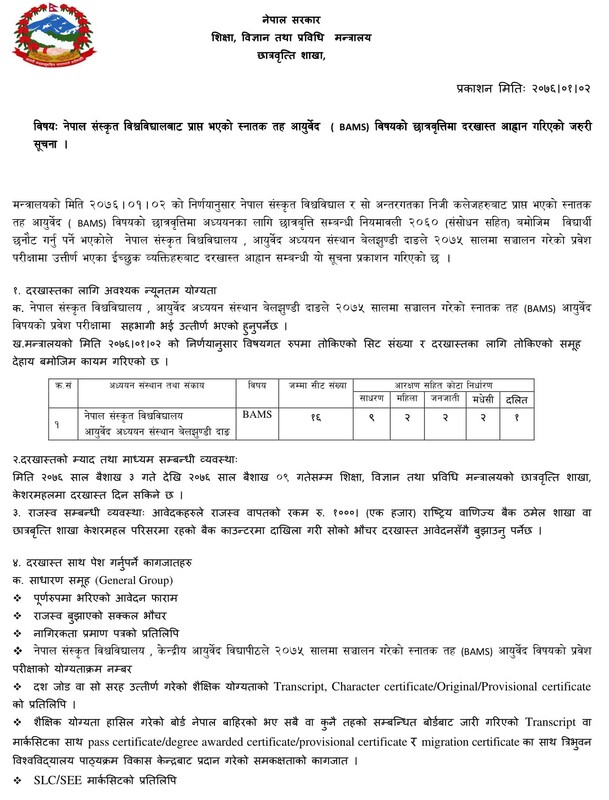 Government of Nepal, Ministry of Education today announces scholarships from eligible and interested candidates who want to study BAMS program in Nepal Sankrit University or affiliated Colleges of Nepal Sankrit University. 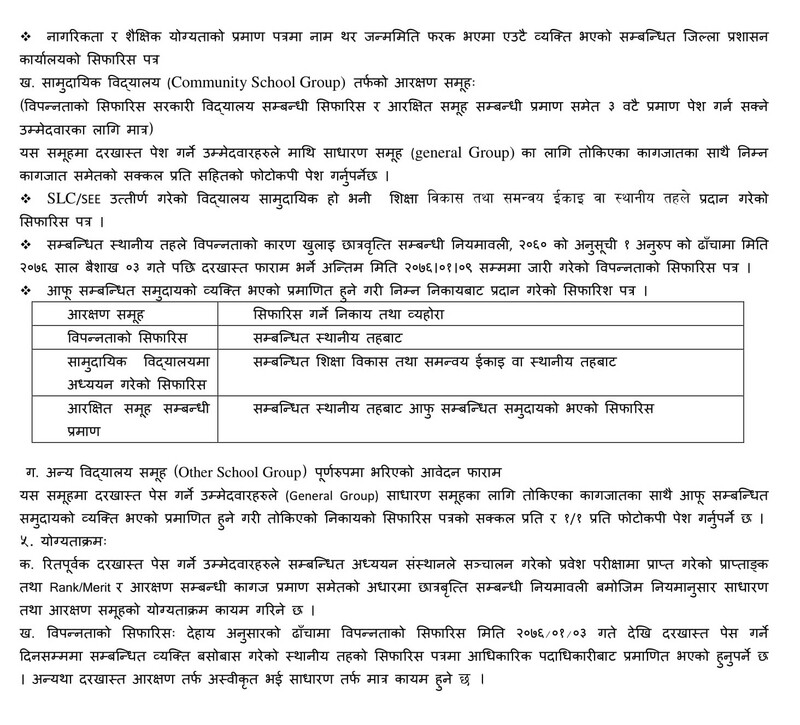 Application form submission: Baisakh 3 to Baisakh 9, 2076. Application Forms must be submitted to Ministry of Education, Scholarships Department, Kesharmahal.